During the feedback, it was recommended that I look at the work of David Shrigley, which is what I have done. I can see a clear similarity between his style and my own, through the line art style and bold black lines. It is also quite minimal and so can make for an interesting infographic. 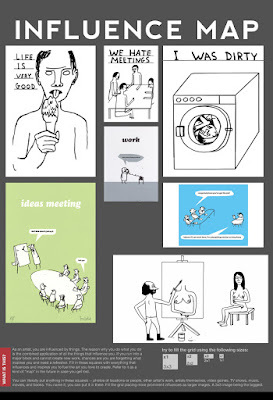 As well as illustrations, David Shrigley has produced many different animations using his style. They are quite simple, but have quite grotesque humor. As the guide is about failure, I could make it quite fun and have it share a similar sense of humor - which I believe I could do. Phil also recommended that I look at Modern Toss. Modern Toss is a comic by both Jon Link and Mike Bunnage. They show specific situations, which are mocked by it's characters. 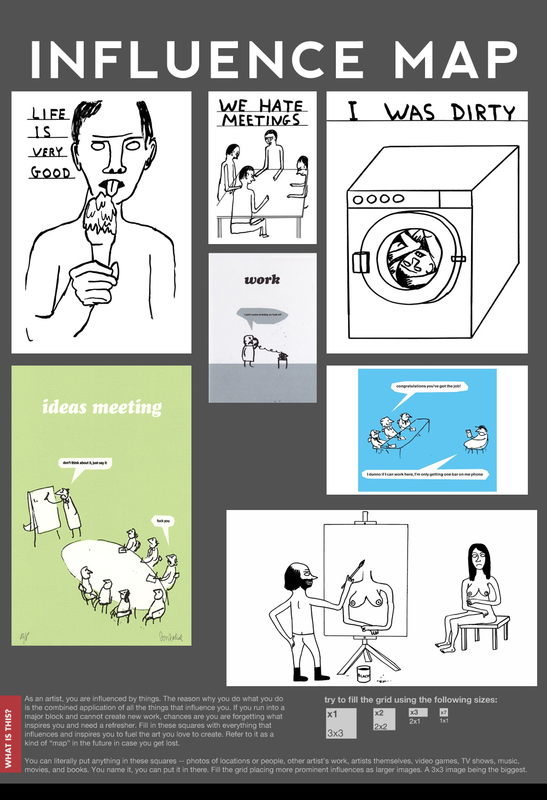 Like Shrigley's work, they are quite simple and have a line art style. Both of these influences can lead to a fun Beginner's guide to failure and should be very funny, and somewhat controversial due to it's messages and style of humor. I will try to create some characters of my own, using a similar style, but is obviously still my own. An example of one of David Shrigley's animations is below. It takes a very awkward situation, and through the way it has been created, the animation makes it weird, but fun, to watch.